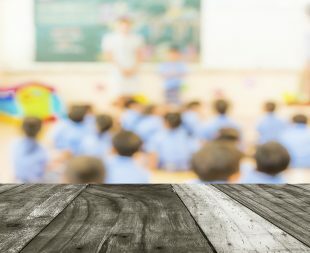 On Friday 7 October, Scape Group, a procurement organisation, released a report claiming that over 24,000 classrooms will need to be built before 2020 to meet the growing numbers of pupils. This was picked up by the Daily Telegraph, Daily Express, the Sun, BBC Online and i news. The figure is misleading as the research appears to assume that every extra pupil needs a new place – i.e. that schools are currently at 100% capacity. In reality there are still areas of significant capacity still in the system, much of which will be filled before new places need to be created. In addition, local authorities will create thousands more places over the coming years, and we are opening hundreds more new schools through the free schools programme, delivering the places that parents want locally. We are delivering good quality school places to ensure every child has an excellent education that allows them to reach their full potential. Our latest data shows that nearly 600,000 additional pupil places were created between May 2010 and May 2015, and we are investing £7 billion in new places up to 2021. Thanks to that hard work and investment, 1.4 million more pupils are in good or outstanding schools than in 2010.